The Agri sector is of huge importance to the Irish economy and a key role of Galco is to help companies in the sector to protect their assets against corrosion. 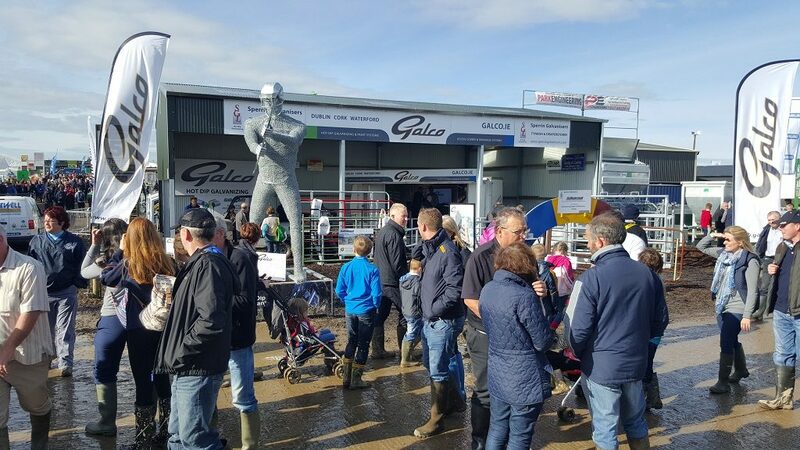 From over 50 years we are galvanizing agricultural equipment, machinery, buildings and fittings. 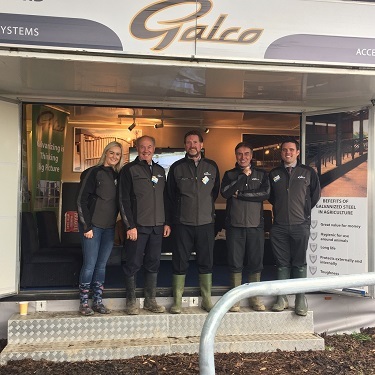 Meet our team at the National Ploughing Championships and learn how much money you can save with us. Agriculture is a highly competitive business which therefore needs the best possible return from its assets. Both the food processing and agriculture industries are cost competitive. Any opportunity to decrease operating costs can lead to an advantage in the market place and higher profit margins. Galvanized steel’s maintenance-free longevity translates to huge savings in both industries. Farm building work is currently undergoing a resurgence driven primarily by the Targeted Agricultural Morednisation Scheme (TAMS) II, which provides grant aid for on-farm infrastructure. All sheds built through TAMS II must meet the Department of Agriculture specifications. Hot Dip Galvanizing meets the requirements of the Department of Agriculture and Food – S101 (minimum specifications for the structure of agricultural buildings. All Hot Dip Galvanized Farm Buildings are certified to I.S. EN ISO 1461:2009. Many other agricultural fittings and equipment items are made of steel. Examples includes fences, gates, stalls, greenhouses, structural steelwork, containers and general equipment. However, steel must be protected from corrosion and hot dip galvanizing in one of the simplest and most durable methods available. With over 50 years of experience in protecting the steel in Ireland, we are involved in many iconic agricultural projects. Most recent proof of the efficiency of galvanizing is the state-of-the-art Hobsons grain store in Co. Meath, where All the steel work was galvanized and Galco was also on hand to discuss the galvanizing of the very many metal components.